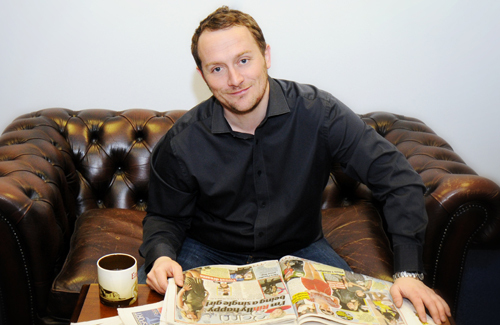 My name is James Fletcher, I’m a former national newspaper journalist and I enjoyed a successful career working on news and sport for The Daily Mirror and the News of the World for more than 15 years. From the death of Princess Diana to Tony Blair’s landslide victory at the 1997 General Election to World Cups, European Championships and a decade working with some of the greatest footballers of modern times, it has been a career full of memories. There have also been frustrations and many of those involved events, organised by PR executives who lavished huge expense on behalf of clients, and clearly mean’t well, yet missed the point. They didn’t understand journalists needs and they didn’t understand the ‘story’ and then complained when they received no coverage. Lack of experience, lack of training or failure to react to feedback? Either way it was clear to me that there is a void that exists within the modern PR industry and I could help and so decided to form Onside PR. That viewpoint was emphasised further when I returned to The Daily Mirror in 2010 to help my former colleagues, sitting in as Assistant News Editor for 12 months. The news desk telephone never stopped ringing with PR executives hopelessly trying to sell stories or events that were so far off the mark it was embarrassing. As for the email inbox, it was filled with hundreds of pointless or lazy press releases every day. Newsdesk are a fearsome place for PR executives who don’t understand their market – so much so I tried to help as many as I could having sat on both sides of the fence. My journalistic background means I approach every project, every client, every problem as a journalist would. Understand the “line”, the “hook” and you have chance of achieving your goal and therefore achieving coverage. Couple that with an impressive contacts book and you have a chance. Likewise, if you think as a journalist you see the problem before it arrives – and that is invaluable in times of crisis management. Naturally having enjoyed 15 years in national newspapers I have an extensive contacts book. They are real contacts, not just a list assembled from the internet or a third party subscription service. Having worked on the ground with so many journalists and high profile personalities over such a long period of time many of those ‘contacts’ are close friends and they know if I contact them about a story I will not waste their time. They trust my judgement and crucially they trust my integrity. Poacher turned gamekeeper? Maybe? What it certainly means Onside clients are provided a service that is practical, honest and one that delivers results.